I so agree with her re being in the background building and protecting other peoples' brands and stepping out into the scene for your own brand. PR gal struggles! Great read! Ok, I have very few groupie moments but this is one! LOL. 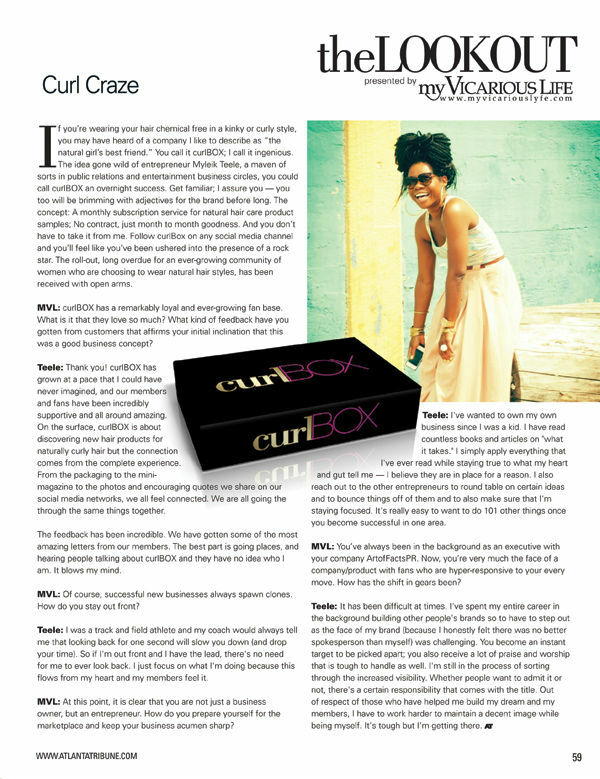 I so admire Myleik and the Curlbox brand. I also love the inspiration she gives on Instagram. Thanks Katrice for sharing! The Master Mentor: Robert Russell Sr.